This is a critical thinking brain teaser which will make you think outside the box. This is a very simple lateral thinking brain teaser which you need to think very quickly. 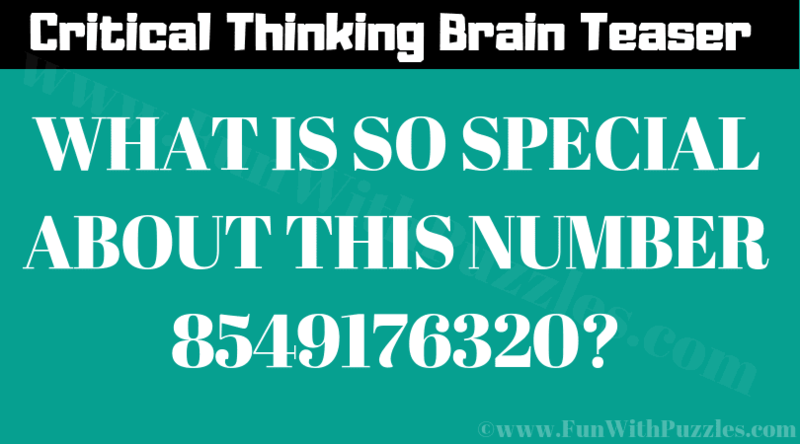 Let us see if you can solve this critical thinking brain teaser! Can you solve this quick critical thinking brain teaser? Answer of this "Critical Thinking Brain Teaser", can be viewed by clicking on the answer button. In this number, all the individual numbers are arranged in alphabetical order.